Hack Days at Clarifai are all about innovation and teamwork. During our recent Hack Day in March, one project stood out as an impressive collaboration: ClariCam. Six individuals from three different teams came together to create a smart camera prototype in the span of a day! The ClariCam device runs Clarifai’s upcoming IoT SDK on a Raspberry Pi with an attached camera, housed within a custom designed hand-held structure. In operation, the ClariCam processes images captured by the camera through a Clarifai computer vision model and displays the results (a set of concepts) to an output screen. There are many applications of both usage patterns. Running the inference (i.e. processing results) locally on an IoT device is useful because you can get results with or without network connectivity, and faster. Also, if the IoT device doesn't need to connect to an external inference engine, data can stay on the device. Example use-cases would be a flying drone looking for a lost dog or a coffee machine detecting when pods have been used. For use cases where the server does the inference, a retailer with a few cameras (traditional IoT devices) throughout the store connected to a computer could utilize their system to get information on foot traffic in the store, interest in particular items, and even the size of the checkout line. The ClariCam team during the March Hack Day consisted of Dalmo Cirne, Trevor Masters, John Sloan, Sujit Poudel (Mobile/Edge Software Engineering), Amanda Coyle (People/HR), and Karen Herder (Data Strategy). Each team member contributed something essential to the finished product. Trevor worked on finding the necessary components for the Raspberry Pi, along with Dalmo. 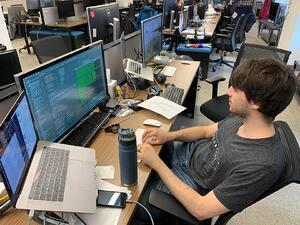 He created a mobile application that interfaces with the IoT SDK (both server and client parts.) 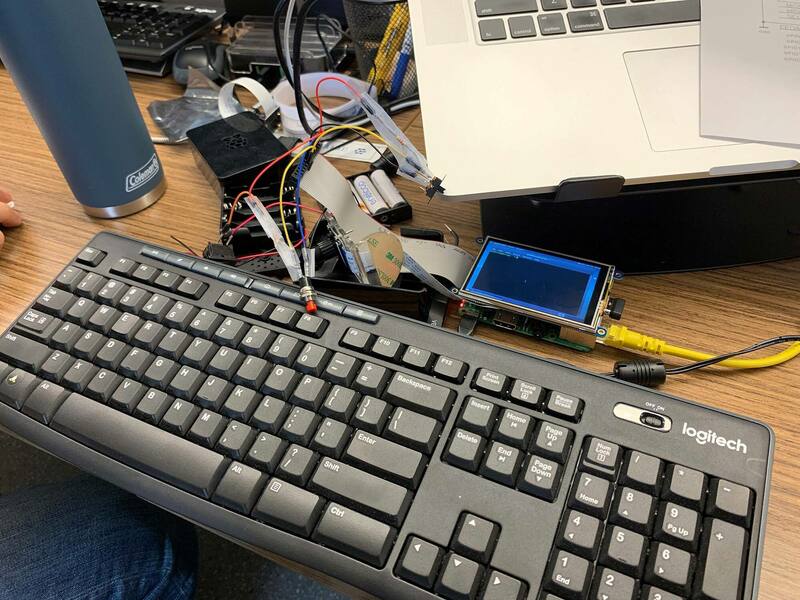 He also connected the Raspberry Pi's camera to the application, and 'glued' all the different software components so they functioned together. In addition, Trevor worked on hollowing out the metal ClariCam chassis and drilled and filed the openings. John implemented a Madlib generator that takes nouns from the Clarifai predicted concepts and inserts them at random into the list of incomplete sentences, which was part of the ClariCam demonstration. He downloaded a list of the 6000 most common nouns in order to check if a predicted concept was a noun. He also contributed to many other things in smaller ways, like coming up with sentences, debugging, gluing all the code together, etc. John worked closely with everyone on the project, but especially with Dalmo and Trevor on fitting together all of the code. Sujit worked on building the SDK to be able to run on the Raspberry Pi, either by cross compilation on Mac or linking directly on the device itself. Karen: “In a very tiny nutshell, my brain went back to when I was in college. I studied graphic design/art and whenever we created mockups for a project, we would use black foam core because it's lightweight and easy to cut with a precision knife. I knew that the basics of a camera body would never change because it's a classic design solution: a box-like shape to contain your electronics. We just needed to measure the size of the components that would extend beyond the box: the shutter button, on/off button, burst mode button, LED screen at the back, and the lens in the front. 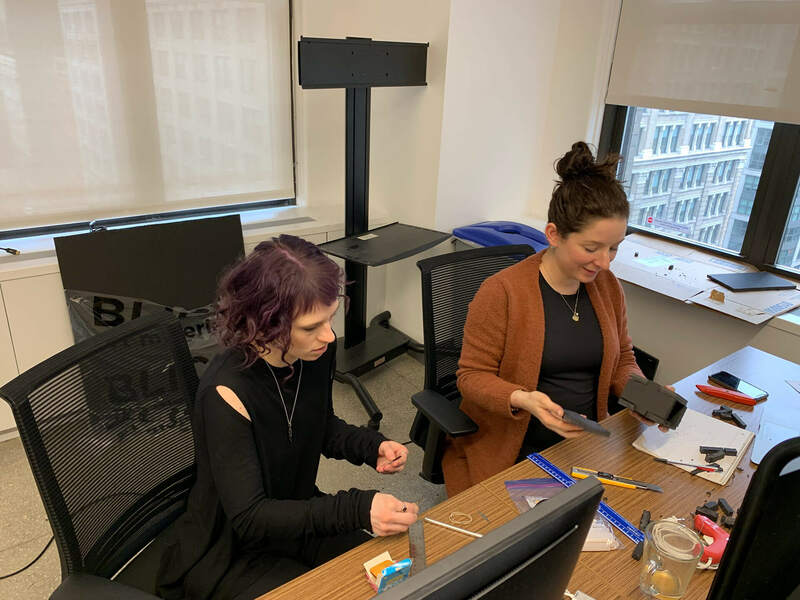 Amanda and I were able to cut out the pieces of the camera body from black foam core, one side at a time. We cut out little notches into each side so they would fit together like a jigsaw puzzle. Once we were satisfied with all of the pieces fitting together, we glued them and then inserted the electronics. Amanda worked with Karen to create the camera body and worked with John to create output patterns for the results returned from the computer vision model. Hack Days drive innovation at Clarifai, but just as important, Hack Days can be a fun and rewarding team-building experience for everyone involved. Ready to do some hacking of your own? Build & deploy your own Clarifai app and visual models with our developer guide, and use us for free! Want to work at Clarifai? Get a free Clarifai account, try us out, then apply to one of our open positions.